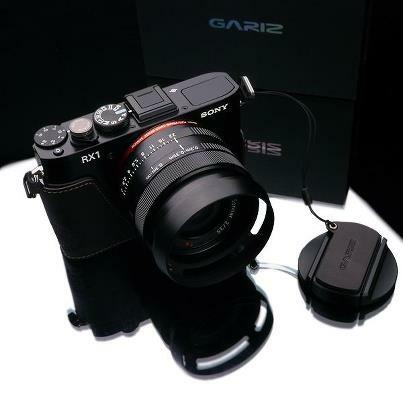 I recently received the new Gariz Design Sony RX1 case deluxe set and I LOVE THIS SETUP! We all know that the cost of the official Sony case for this camera is over the top at $250. While this case is also $249 for the deluxe limited edition set that you see here, I would take this case over the Sony case every day just for the strap system and awesome workmanship and looks. As with all Gariz cases, I love the metal bottom plate that allows you access to your battery and SD card without having to remove the case. There is also an all metal tripod mount in the case so you never have to remove the case or strap to use it. The fit, finish and quality of this set is superb. The Italian leather feels soft and supple but fits like a glove. The strap is genius and I even love the leather cap stick on that gives the whole package a finished look. 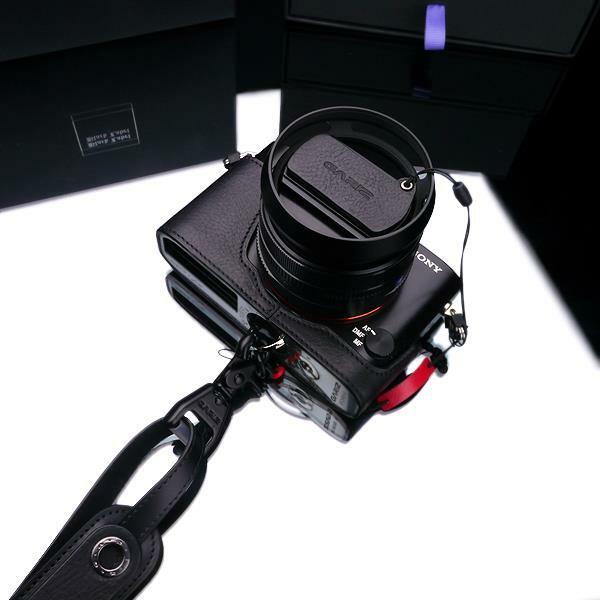 The case and strap come packed in a nice box which reminds me of the Fuji X100 packaging but we also get the velvet bag treatment. Very luxurious. 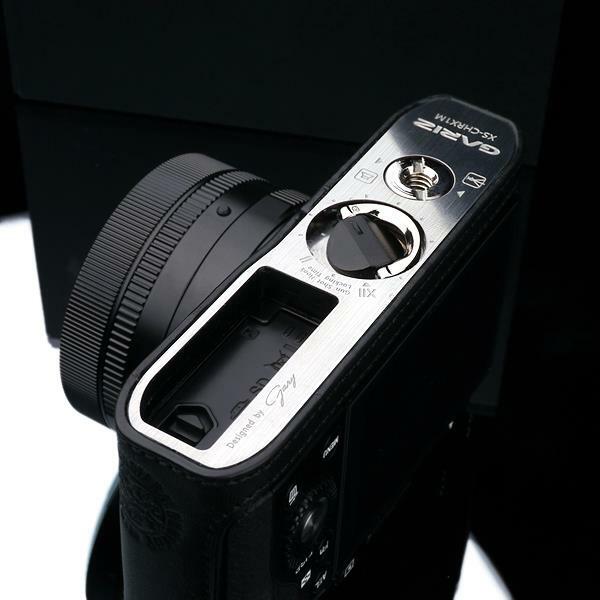 I have the Gariz case for the OM-D and LOVE it. Hasn’t been off the camera at all as it adds more size and grip to the camera. The con with this case is that there really is not much protection. I see it more for style and good looks as well as adding some size to the height for better grip. The strap system is very functional and pretty sweet in use. 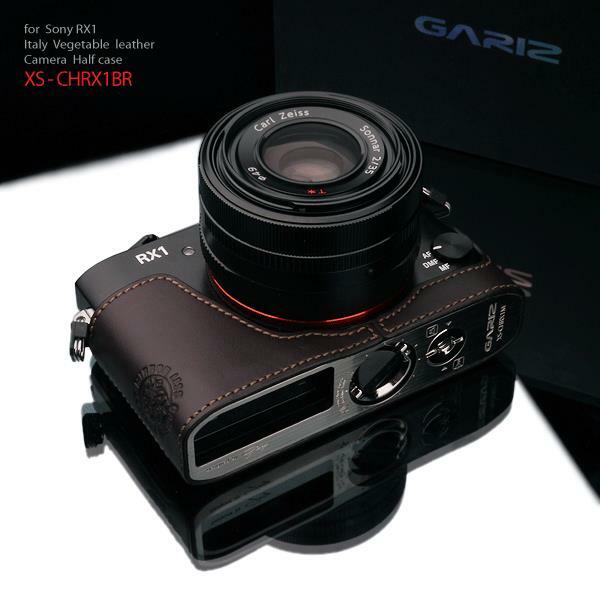 If you want a pricey but great looking case and strap set for your Sony RX1 look no further than the Gariz Limited Edition set. $249. You can order it from the Gariz Facebook page by sending them a message or here on E-Bay. The new Sony A7II! 5-Axis IS, Faster AF and more! I just received this setup and was surprised to see there were no directions. Steve, I watched your video very carefully but think you may have actually assembled it wrong? The way I ended up has the padded part over my shoulder and nothing to get in the way of the loop gliding along the strap. Anyway, your video definitely helped me get there, thank you! 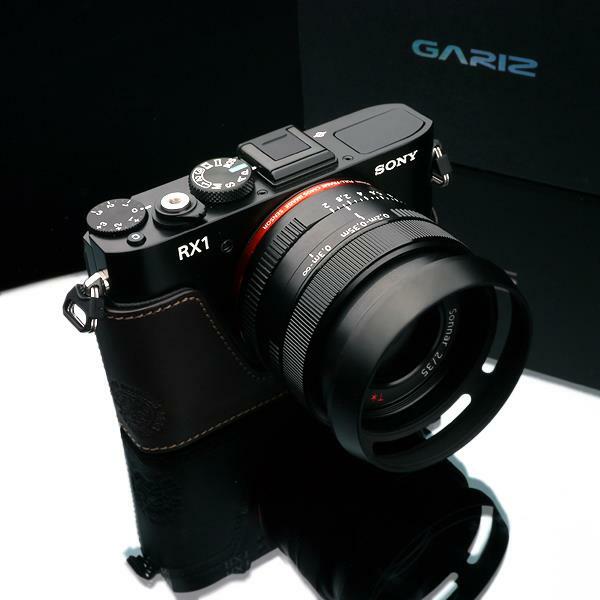 Will the RX1 Gariz half case fit the NEW RX1r? I’d like to order now so it’s here when my new RX!r arrives. Please help! Very excited for this new model to arrive and give a test drive. I’ve heard some extraordinary reviews and understand IQ is going to be just fabulous! Yes because the RX1R is the RX1. There is no difference at all between the two cameras in any way besides AA filter removal. Great post. I was checking constantly this blog and I’m impressed! Extremely helpful info specially the last part 🙂 I care for such information a lot. I was seeking this particular info for a long time. Thank you and best of luck. I just wonder about the company behind the Gariz products. No e-mail is ever answered! Their products are not available at their agent in the UK. It could be that Luigi half cases are a better investment although at a higher price? Looking at the metal plate bottom, I really wonder wether you can get the card and the battery out without a lot of trouble? I ordered a case off of Amazon for My RX1 and I must have a dud. When I tighten the screw adapter into the camera the loop will not open to attach a camera strap and the tripod mount screw seems to be stripped. Hi Steve, thanks for the informative review! Just wondering whether you primarily use this Gariz setup when shooting with the RX1, or if you go with a Barton strap like you had previously mentioned with your M9P. With so little information out there on how the Gariz case/strap actually works functionally, could you also comment on the usability of the gunshot function compared to something like Black Rapid if you’ve used their products before? Thanks for the quick reply Steve! I was considering that as well. Any impressions on the combo? 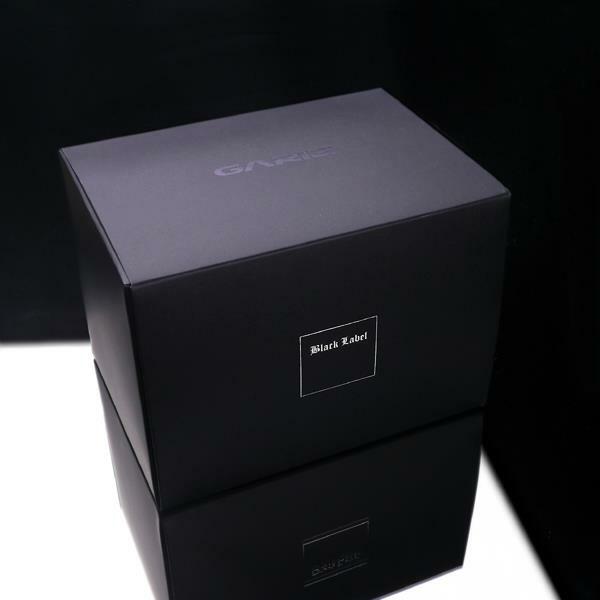 I finally received my Gariz case kit. I like it. I can’t figure out what the thin strap with the red leather piece is intended to do. The lens cap keeper already has a strap with it. Can you help? You and me both. I think it is a safety thing that hooks up to the camera and strap in case the strap fails at the bottom, but I really do not see how that can happen. Here is the explanation that I received from the Gariz team on Facebook. I messaged them. But in the end it is a safety measure. Maybe you can view the photo with the link below. This part is a safety measure for the gun shot function. Please see attached pic. This will help to prevent your camera from dropping if you did not hook it properly with the ring. It’s just a safety measure. My Gariz just failed this evening and that safety measure was the only thing that prevented my OM-D + 17 1.8 setup from crashing to the ground. From what I can surmise, the pin holding the D-loop to the locking screw failed under the weight of the camera. I was very confident of this setup and didn’t imagine that it would fail under normal usage. I haven’t contacted Gariz yet but hopefully they can me out. Hi guys, just had a question regarding the tripod mount. I have a gariz half case, but haven’t gotten around to buy an external charger yet. Everytime I have to charge, I have to unscrew the case and screw the case back on the tripod mount. Is there a chance excessive in and out of the case will damage/strip the tripod mount on the rx1? My recommendation would be to get a charger. The link above is one on Amazon with two batteries for $18.99. Prime eligible as well. Wow, Thank you so much for such a quick reply. The charger is on its way. My last camera had a plastic mount which got stripped in less than 3 month of use, and was wondering if the RX1 would be more resilient since it is metal. Do these tripod mounts last a long time? Agree re the Fuji call. These guys have created a very cool product. Might look into one for my OMD. $95 on ebay I noticed. Got the Gariz 1/2 case fitted to my NEX-7, can’t be beat IMHO. $150 if you just want the half case. Don’t forget all the packaging that is included for that price. I don’t think I have ever seen anything so ridiculously over-packaged. 2.) The placement of the tripod screw underneath the case is offset so that battery and card are accessible when camera is mounted…brilliant! Although you did mention both, I thought it would be worth expounding just a lil bit. I love the case and the hand strap, but the shoulder strap almost cost me my NEX 7 and my ZM 50 Planar at the Singapore GP earlier this year. The holes that the little button goes into stretch over time and in my case lose enough to slip out. I too love the workmanship on their half (?) cases. My only complaint is how difficult it is to engage the removal key. It takes a non scratching material like a toothpick to pry it up just enough to get ones fingernail to engage it. Too slow IMO. Otherwise very darn nice. And my occasional amateur camera user acquaintances always love it. My pro colleagues don’t notice as they’re too busy making fun of the OMD I’ve got it on. 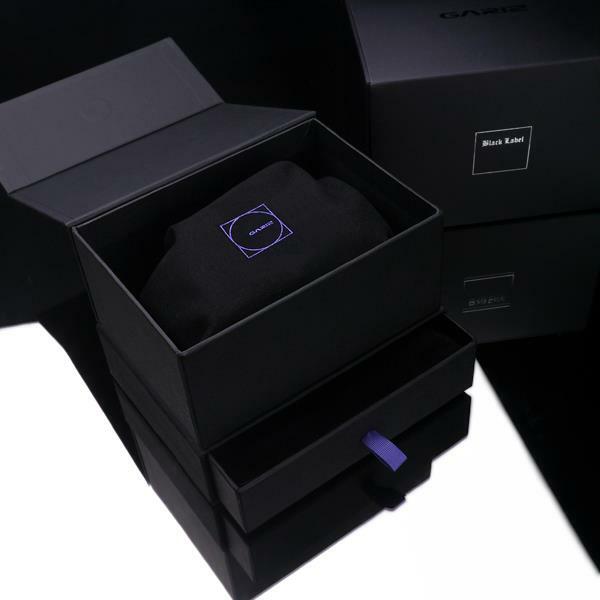 Oh my effing word…even a STRAP comes in a box now? Do people collect straps now too? Sharp colectors, pixel peepers, bokeh hoarders, aperture lens gatherers…is it about photography anymore or photolookatme? I have the X100 one and I should have the RX1 case tomorrow. 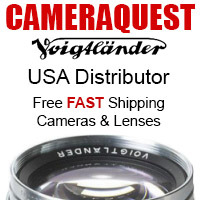 They are really nice high quality and reasonably priced. The X100 case really added to the feel when holding it and I assume the RX1 case shoud do the same. I’ll know more in a few days. Hi Steve – great review, thanks. One negative I noticed with this case is that you must still remove it to charge your battery. Unless you have an external charger, which most won’t, you have to open the USB port door, and the case is in the way. Other than that, it’s great. But if you can afford $2800 for the camera and $250 for the case and strap…I bet the $37 for the battery charger should be a cinch. I owe this case as well. I completely agree with Steve on this review. I agree that while it doesn’t offer as much protection, it is better than paying for the expensive case made by Sony! Gariz is awesome! This is nice to see, Steve. 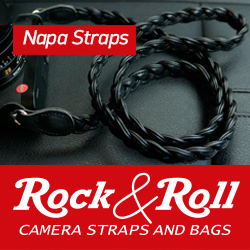 For my Fuji X100, I use the Gariz sling strap and I also own both the small and large Gariz camera bags. I have been a Gariz convert for a couple of years now. Their products are slick, minimal, and well designed. I can’t say enough about them. Very urban. There is a stereotype of what photographers look like and what kinds of bags they carry and I love Gariz because they are the opposite. Gariz is the Armani of camera bags but without the price tag. Oh, one more comment about Gariz products. I don’t know anything about the RX1 half case that Steve is talking about but I do own a lot of other Gariz products. I am not sure if everything they make is made out of “genuine leather”. I have examined my camera cases over and over again and a part of me is convinced that the camera cases are actually “pleather”. They do not smell like leather at all and they have a fabric backing. It is one of those conundrums I will never be able to figure out. No matter, I love Gariz. I talked to the makers on Facebook, and they stated explicitly that the normal cases are made out of Vegan leather, while the more expensive cases included in the black label packages are made out of real leather. 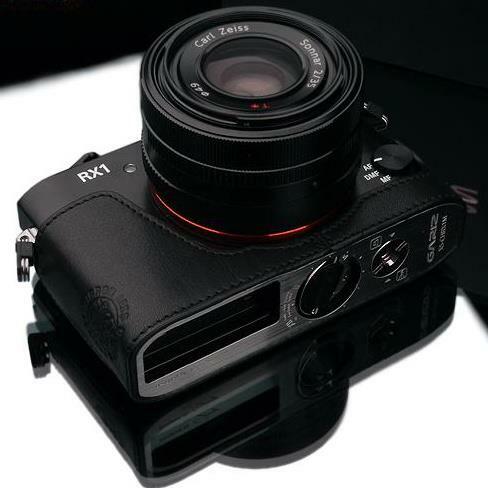 Yea, I can say the RX1 case i have is 100% for sure..LEATHER. Vegan leather? Too funny. Another euphonism for pleather. Still, amazing products nonetheless. I love Gariz.